The customer satisfaction is the solid base to our development so far. Our marketing strategy is very simple: «from mouth to mouth». Our marketing budget is directed back into improving our service quality and staff welfare rather than throwing money in expensive advertising. 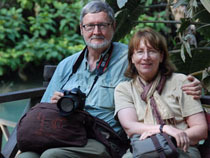 Many of our clients wrote testimonials for us after their trips, and you may refer to what they said about us here. Helen, behalf of myself, my wife, Orly, and all my friends, I would like to say thank you. Thank you for being so patient, in the planning stage, thank you for the wonderful well come diner, and for the great trip. Now that I came back from my job I wanted to thank you for the splendid tour you gave us! 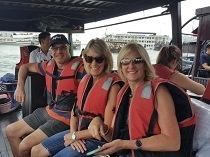 We are still delighted by all the wonderful experiences and experiences we had in Vietnam. You make us great program, it's can't be better. Every day we have great exprience. 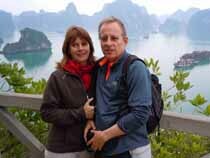 We hade great time in Tam coc and Ninh Binh. It so beautiful. Very nice places. Now we are on Era cruise. The ship is so nice and the places like in the heaven (i wasn't in the heaven but it is amaizing here). We had A special mention must be made of the guides who deftly accompanied us on our journey. We had a great time in your wonderful country. The trip was very good. 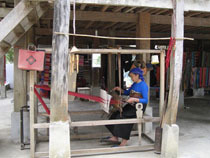 The boat ride and local artisans are a view of how life used to be. We had an amazing extraordinary visit to your country. We had a great 18 days in your beautiful and interesting country. 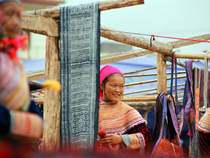 We learned a lot about your culture and history, and enjoyed from the different views and landscapes along the way. It was an amazing trip thanks to the exemplary order of perseverance and dedication that accompanied us at every moment. 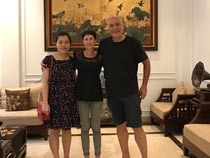 Thank you Helen for a great and memorable trip in Vietnam & Cambodia - from the well done tailored itinerary to all your support and taking care throughout the trip. 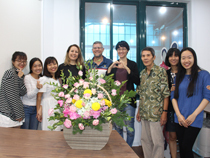 We would like to thank you and your company for a wonderful tour in Vietnam. 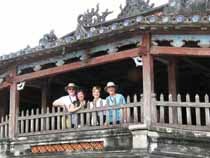 Thank you for providing us the guiding tour in Hue Vietnam. We enjoyed the sightseeing, the guide and the time table. I went back to normal and I had to write to you. 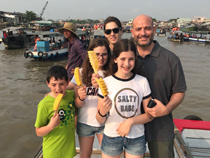 Great time in Vietnam and Cambodia. 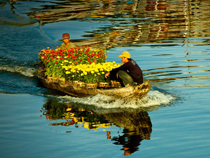 We travel the world and Vietnam is an interesting and beautiful land in particular. As for the trip we had a great one.we enjoyed very much!! As you presumed correctly, I am already not at home, as I had to leave on a business trip, just a day after we've returned. You can imagine how hard it is to get back to work, after such a long and exiting vocation. On behalf of my family and myself, our sincerest thanks for organizing a smooth and pleasant trip to your beautiful country. It was a great introduction to Vietnam and we are all so very grateful. We left with a lot of good memories. Here are my thoughts in general of the entire trip and Asiatica. We just landed yesterday and we want to thank you for great trip. It was excellent experience. Everything organized perfect, the guides was marvelous except for Linh in Ohi An. 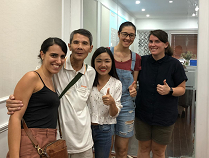 The guides in Hanoi, Ho Chi Minh City and Siam Reap was full of knowledge, charming, polites, quiets and help us for any questions. 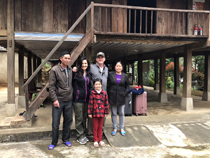 We want to thank the amazing trip you planned for us in Vietnam. 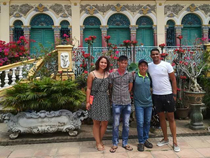 Everything was great, especially we would like to thank our guide, Mr.Tran Due Thao who accompanied us in the first week.Thanks to him we learned a lot about your wonderful country. We are now in Hanoi airport waiting for our flight to Seoul. I just wanted to say thank you for the service you gave us all along the way. 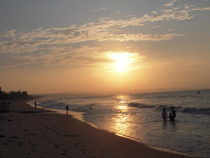 We had a great stay in your country - it is really beautiful !!! Best Regards and thank you again for everything. We are back , trying to recover from the wonderfull experience and trip we had in your beautiful country. All over we were very happy with the trip – everyone was very nice to us !!!!! 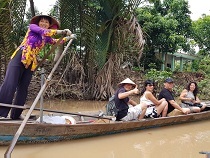 and goni also had a wonderful experience playing with all vietnamies people , riding every animal or boat or motorcycle or whatever . 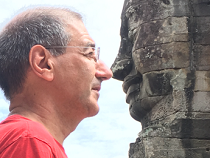 Last night I landed in Israel after 2 wonderful weeks in Vietnam and 1 week in Thailand. I would like to thank u for the wonderful trip,the professional guides and especially the tour guide from the north (please forgive me that I forgot his name) that we spent with him the last 7 days. 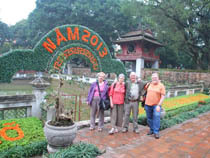 We travelled for nearly 3 weeks in Vietnam and had a wonderful time. 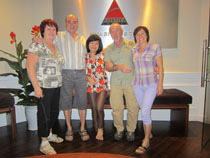 In total we had 5 guides and drivers and all were excellent - knowledgeable, prompt and friendly. We are home and now back at work here in Australia. Thank you so much for the kind hospitality from you, your staff , the driver and out tour guide. 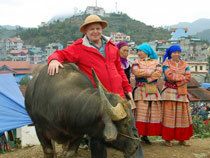 Allan and I had a terrific tour of northern Vietnam. 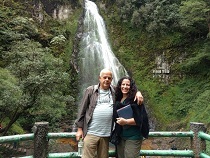 We loved every part of holiday, especially Bio Gioc falls. 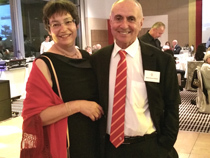 I would like to thank you for all the effort you have put in over the last 2 months to prepare and organize our wonderful holiday to Vietnam. We absolutely had a great time together and thoroughly enjoyed every moment of it. 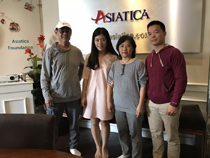 We are impressed with the spotless service we experienced with Asiatica Travel. Hoang was an excellent guide. 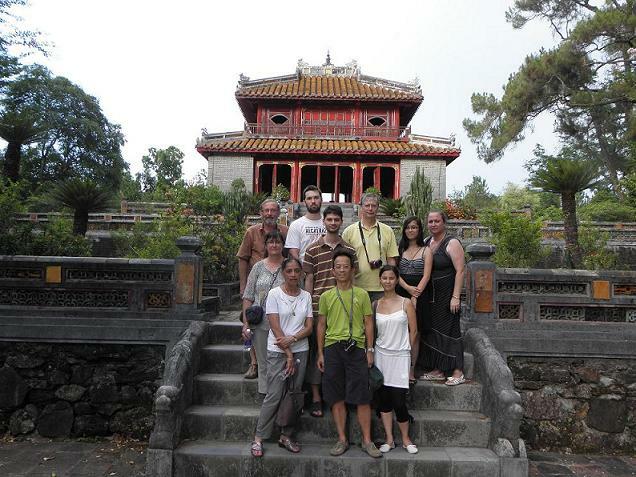 He has a world of knowledge and experience, we learnt so much about the history and culture of the Vietnam. We are back in Australia after two weeks full of wonderful memories about your beautiful country. 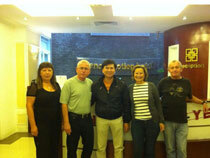 You have organized the trip according to our choice and completely fulfilled our wishes. 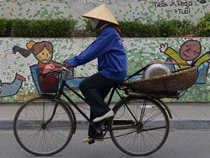 Making the bike rides to the countryside to explore the local environment, residents and their lifestyle, we have discovered an authentic Vietnam. It is really a well-worth trip. We are back in Australia. 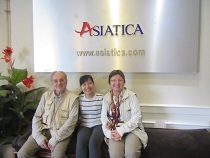 We are really excited with our trip with Asiatica Travel, which has allowed us to discover Vietnam off the beaten track. 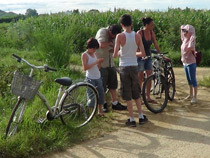 The program was rich and varied with visits on foot or by boat and bicycle to explore the countryside. The pace of the trip was well balanced except for the trip to the Central where the itinerary has been slightly modified. Thank you for steering us off the temptation to cram in as many things as we could into our short time frame. 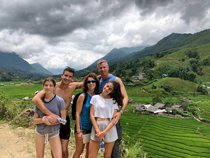 Hanoi, Mai Chau and Halong made for an enjoyable family spring break. Hanoi was extraordinary, how amazing the hawking voice of street vendors with all manners of goods from fresh produce, bakery, fruits to books and shoes. The excursion to Perfume Pagoda was also fantastic. The cave shrine is quite interesting, but the key appeal was the journey to get there on a peaceful river through the heart of a splendid mountain valley. Halong was perfect for just doing nothing. 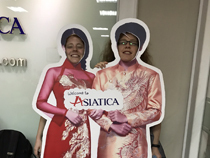 I cannot say enough about how great and fun travelling with Asiatica Travel is. 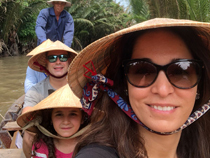 Hanoi was my favorite city, its chaotic traffic, narrow streets, vibrant street culture, flavorful cuisine, elegant ochre architecture and an endless motion of motorbikes. The Hanoi Moment Hotel was great, a yummy made-to-order breakfast and a laptop/wifi in every room. 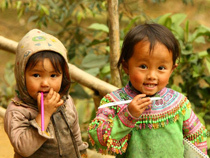 Every time we returned we were greeted with smiles and chilled juice. I can't tell enough how amazing the service is at this hotel. 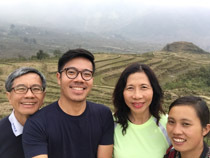 Just want to thank you for all the advice and hard work you’ve put into our 1 month vacation in Vietnam. 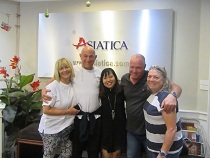 We have gone with Asiatica Travel 4 times and it was perfect again. 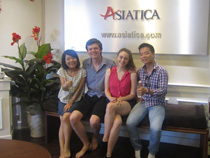 From the very beginning (two years ago), my experience with Asiatica Travel have been so wonderful. 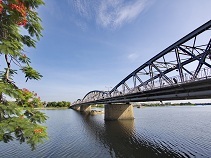 Your itineraries always stand out and all experiences have been unique. I am even more impressed with your ethical mission, your “giving back” projects and the responsible way of organising tours. Sorry for the delay of our response. As soon as we returned to our place, a lot of work was waiting for us. We have nothing more to specify in relation to the questionnaires we filled every changed guide. 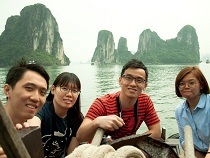 Our trip went very well and we all have lots of good memories of Vietnam. Thank you for your kindness to answer all the questions, for your kind attention. We will certainly brag about your professionalism to our friends. Just got back home and quite tired but we definitely felt we have seen Vietnam. We were really immersed in local culture. 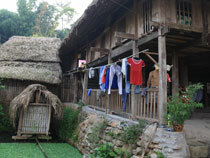 I enjoyed the homestay in Mai Chau and Ben Tre the most. 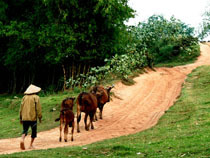 We got to understand deeper about the rural life and the people. 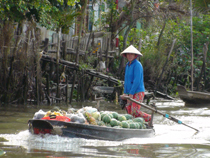 The lovely boat trip in Mekong was also a highlight. Thank you for the mail, this is true that time flies so fast; it has already been 2 weeks since we're back. 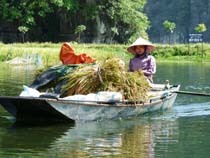 This trip to Vietnam was definitely the most beautiful travel that I have ever made. 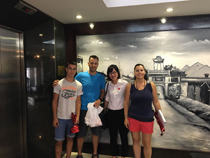 We were highly satisfied with both your organization efficiency and the landscapes, cultural values...that we enjoyed during the tour as well. During these 3 weeks, I cannot give any negative point, really. It was absolutely the journey with top satisfaction: no boring day, no bad food, wonderful destinations. 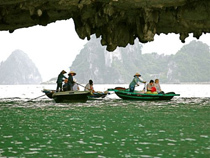 Just some lines to inform you that we returned to Australia safely and how much we enjoyed our holiday in Vietnam. The best thing was our local guide Hoang, he made the trip much more enjoyable and fun, keeping us entertained and feel safe all the time. We are going very well, thank you. How about you? Our stay went extremely well! We were delighted and had full memories! Thank you very much for everything you have done for us and we know that without you, we would never have discovered those beautiful things. 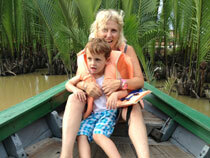 We are back from our wonderful trip to Vietnam and Cambodia. A big thank you for organizing this trip which ran flawlessly from beginning to end! (apart from an unfortunate last minute change of flight mismanaged by ourselves , but fortunately resolved with your efficiency! ) . 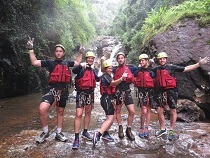 We were greatly impressed by the level of professionalism and effort your team has put in preparation of our trip. 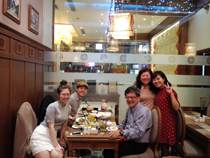 Thank you and your company for the wonderful trip we had in Vietnam. OMG, the chaotic and wild traffic in Saigon was exhilarating. Crossing the street was so fun. I perfected the "keep your head straight while your eyes looked out of the side of your head" tip you gave. 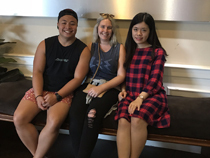 We are back in Australia and we just want to say thank you to you, Ms. Phuong Hong, Asiatica and all those who contributed to the success of our trip. 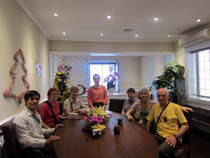 Everything was perfect in the practical tour, from the hosting meals to the destination, air and even rail transport. 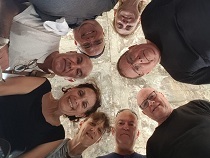 Your guides had led with skills and sympathy, together with the well organized trip that allowed us to discover a beautiful country, a surprisingly dynamic and always smiling people. Even the weather was with us from the start to the ending moments. 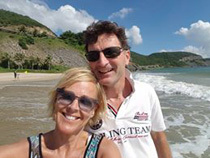 I was so impressed with the care we received during our honeymoon holiday to Vietnam with you. 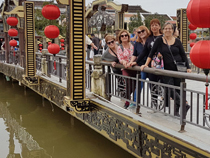 Much of the holiday was memorable, the madness of Saigon, the charming town of Hoi An, exploring Hue and surrounding countryside along the Perfume River , the delicious food. 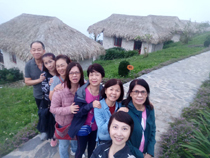 The tour took us to engage with the local life and ventured off the tourist trails in Mai Chau, Ninh Binh and Bai Tu Long Bay. 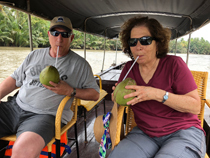 We had a very relaxing cruise and thoroughly enjoyed our time on the luxurious and well appointed Au Co boat. 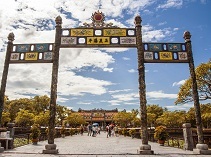 All the hotels were centrally located and offered excellent services, especially the Metropole in Hanoi and La Residence in Hue. Indeed, the time flies ... it’s not so long ago, we were preparing this wonderful journey; we exchanged e-mails to plan, organize, and finalize the trip from October 23. 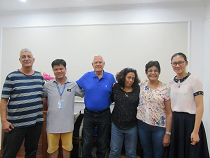 We all were very excited when we were greeted at the airport in Hanoi by Mr. Hai who has guided us very well during the early days of our journey. We arrived home this morning, still felt thrilled and excited. 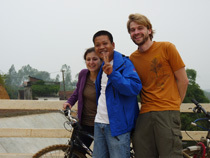 Nghia was the best guide we ever had. 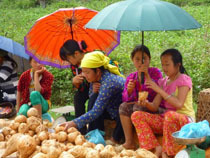 About accommodations, we loved Bac Ha & Medallion in the north but we didn’t like Sapa View. 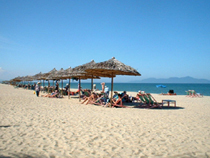 The La Residence was our top hotel in all Vietnam. Also, it is interesting to hear the history from a Vietnamese perspective, we learnt much from local veterans. 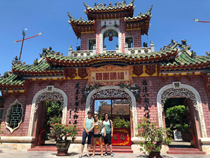 Just short notes about our recent trip in Vietnam with you. 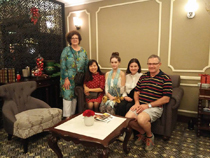 The Hanoi Moment Hotel was our best hotel in Vietnam, a delightful hotel with fabulous coffee, pho, dragon fruit, melons, croissants, cheese and especially the people. 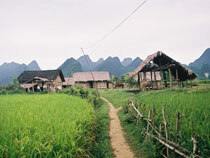 Mai Chau was a surprised discovery. The best get away from the modern city. 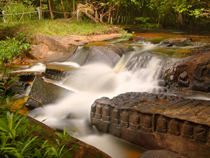 A perfect place for spiritual renewal surrounded with beauty of nature. Just returned home after a great trip to your lovely country. Vietnam was amazing. The trip really opened my eyes to a totally different fascinating culture. 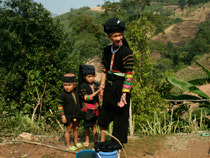 Vietnamse people are so friendly, so happy, and so hard workers. 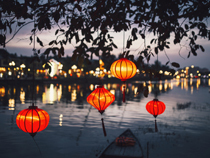 All hotels had great locations and services, most exciting is simply waking to such wonderful views over the rivers in Hue, Hoi An and Saigon. The Hoa Tuc restaurant in Saigon was amazing, their chicken clay pot was the best I’ve ever had. 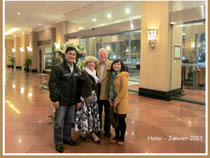 Thank you for the hospitality and excellent services provided during our stay in Hanoi. Also our warmest thanks to our guide and driver who were helpful with courtesy. 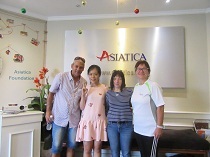 Everything was very good, we Will look for Asiatica if there is any chance to visit here again. 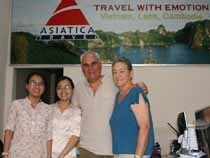 If we go to Vietnam next time we surely will look for Asiatica Travel for our needs. So nice to hear from you. Sorry that we are slow in responding to you as we are caught up with our daily chores after a great holiday break. 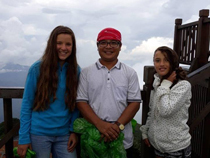 We have provided quite a detailed feedback in the feedback forms given back to Thuan, our tour guide. 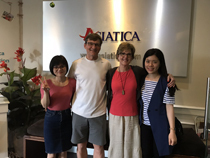 We're very happy with Asiatica's services and the thoughtful planning that you and Cathy have done for us. Back to Kuala Lumpur, we just want to say thank you very much for the high quality and well organization of our trip. Everything was perfect: the tour guides, hotel selections and the sites as well. 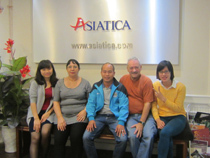 We did hold good memories of the welcome of the Vietnamese in general and especially, the Asiatica team. We will definitely recommend your agency to our friends and relatives. It will be really happy to ask you again! Again, thank you for the beautiful memories that we highly appreciated. Do let your staff know they are doing a really wonderful job! The guide is so nice and professional. All the hotels and cruise you recommended us were excellent! Thanks for the tour arrangement. Everything was perfect! Also, the recommendations u gave us were very good! Everyone is very happy! Thank you for your email. 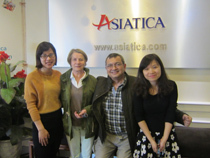 We are glad to have chosen Asiatica as our agent for our tour. 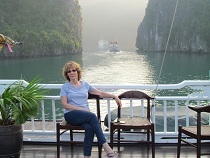 Ms Hue was prompt in her email replies and helped us carve out a comprehensive itinerary. As for your good self, Ms Linda, we were very pleased with your prompt replies on whatsapp and your initiative to help us solve problems. 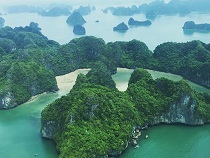 We love Vietnam! 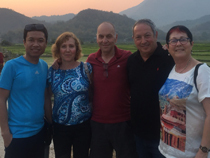 We spent 12 days in North, Central and South Vietnam. Thank you so much for this memorable holiday. Time flies and when you are enjoying yourself it flies quicker. Hi Helen. All good. 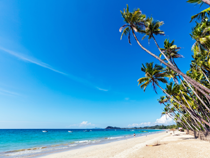 Phu Quoc is amazing and we had a great time in Ho Chi Minh, Ben Tre and Can Tho! Everything is so good, last night was very nice, so vibrant city you have, meet some amazing local people is very impressive to me to believe, you guys are so friendly. 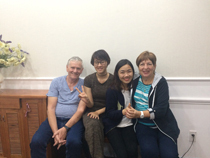 We had a fabulous and very interesting day with Da Lat. He is a very kind and patient man. The driver has been great. Everything was perfect. 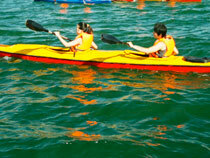 Tours, suggestions, guides, hotels, gifts and surprises during the trip. 24h online to answer our doubts. 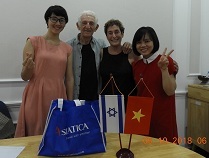 first of all thank you for the wonderful trip you created for us in Vietnam. It couldn`t have been better. Well, we are back from our holidays, thank you so much for organising an amazing trip. We had a really nice time. Sorry for my late reply - it's been crazy here with all the work. 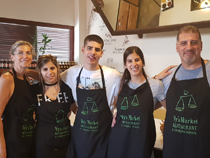 I would like to thank you once again for the wonderful experience you offered us and let you know that we are very satisfied with the services that your agency offered us. We have had a wonderful time in your country and I am sure we will try to visit Vietnam once again. With one week of delay, we had enough time to concentrate on our dearest friends after lot of works awaiting us. 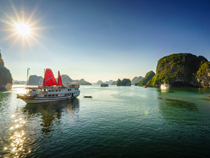 As expected, you made us have another wonderful two weeks in Vietnam and everybody wants to return in any earliest occasion. 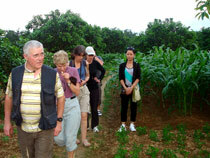 Your program was very successful, lot of landscapes, plenty of contact with locals and reasonable amount of visits. 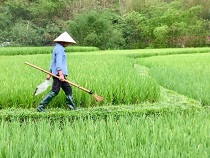 I have created a chat on WhatsApp called 'Vietnam Tour' which includes a number of our photos. We very much enjoyed the trip you arranged for us. It was also good value for money. 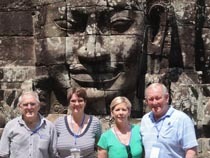 We were pleased with guides, drivers, transport & itinerary. If we were going again I might suggest we do slightly less because we covered a lot and they were long days. We are now on the trip back home. We enjoyed the whole trip very much and as you mentioned, we bring a lot of nice memories home. 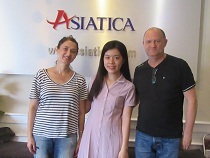 In general we are very satisfied with the service of Asiatica. I have filled out for each tour on the various locations a feedback form. I suppose you have received those. The tour itself, especially the bike tour was great. 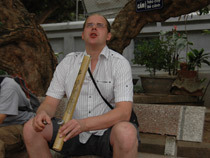 Mr. T is a very good guide showing us around the famous place in Hanoi and let us know the Vietnam history in details. He is also very flexible to meet our sudden request. How have you been? It’s have been busy lately and till now only have time to reply you. 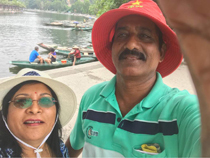 I can’t remember what is item#6 and what comment has been given but overall we are happy, enjoy , no complain throughout the trip and have a fruitful trip. 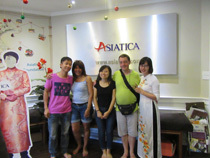 I’m not kind of person who give excellent mark easily, but I definitely will recommend ASIATICA to my friends who going visit Hanoi. that's wonderful and I would love that. time I will definitely let you know ahead. Yes we are just about over the jet lag and have nearly caught up with all the clothes washing! The flight is a long one but it's well worth it to experience the amazing time we spent in both your lovely country and Thailand. We do indeed have beautiful memories and I will be delighted to make a report about your services on Trip Advisor with some photos in the very near future. Thanks for your mails. Sorry I intended to reply to you earlier but have been too busy lately with work starting and it's very busy at the beginning of the new school year (I work in an international school). I want to reply to you with a bit more detailed feedback but I cannot do that now as I am at work. I will try to do this soon. Driver : Dong : great driver and very kind person. 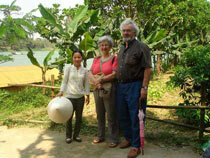 Guide : Phuong : very good person. Speak very well french, knows a lot about the french culture and take care of the clients.The road trip is fine. The stop at the “disabled people shop” is fine - but doing it on the way back is a little bit too much. This morning we returned home safely. Annette is very happy she is back as she missed the cat and friends, I would have liked to stay a bit longer. 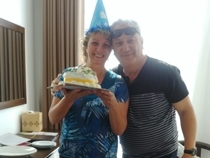 A good moment for a final evaluation.First of all: (I assume you got my mail from 27-11) You made Annette very happy with the birthday cake and flowers. It was a complete surprise. Super. Do you send me a bill? Don’t worry the trip was great. 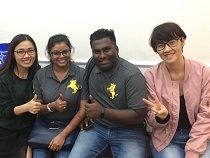 We enjoyed our time and everything went very well.Thank you once more for all the planning, selections hotel, reservations etc.As I was very busy with work after the vacation period I asked my wife to you with a feedback but I just realized that she send her feedback into my inbox. 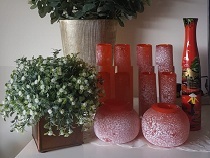 "We did receive the very nice gifts! Please express our sincere thanks! The float plane was awesome, allowing us to see Halong Bay in one relaxing day and avoid the long, difficult drive from Hanoi. In addition, the views from the plane were spectacular! 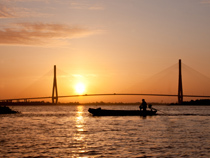 When we return to Viet Nam, we will certainly use the sea plane service again! " 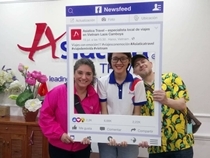 Sorry for the very very late replay, i was soo busy at work.Once again thank you very much for take care of us and we had a very good experience in Vietnam and we really appreciated the effort that you and your company put for give us a fantastic trip. We had a wonderful time! 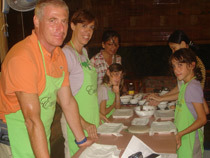 The programe was great, as were all the guides and yourself, we are very happy. We don't think we could've had such a full and authentic experience any other way. We will definitely be recommending this to our friends and on trip advisor! :D It is hot here... but not as hot as it was in Vietnam! Nice to hear from you. Yes, everything is fine with me. I had a truly wonderful holiday, and feel very refreshed by it.I have nothing but praise by the way that my holiday was organised. I know that there were a few last-minute changes, but you and your representatives made them in a very efficient way, and you kept me informed at all stages. 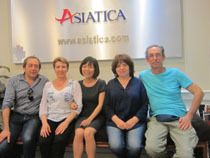 Just came home from our trip to the far east and I would like to thank you for your assistance in arranging our trip. Everything was wonderful, the hotels, the guides, the drivers. Your professionalism was perfect.On another matter, can you kindly send me a copy of our domestic flights tickets? I will appreciate it. I just got back to Germany, quite exhausted but regret that the trip was over. Our guide, An, did an excellent job. He gave us great recommendations for fantastic restaurants in towns. 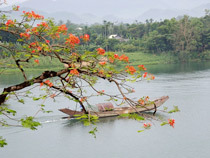 Loved the Romance Hotel in Hue and fishing trip in Hoi An. Thank you for replying all my emails promptly and organizing such a memorable trip for us. Everything went well without a hitch or glitch. 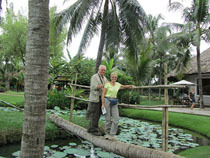 The accommodations, the food, the transfer, the driver and the private guide could not have been better. Sorry for getting back to you this late. We had so much work to solve after our holiday. 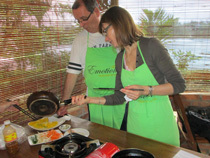 We enjoyed every moment of it, especially the cooking class in Hue and the stay at Mekong Lodge. 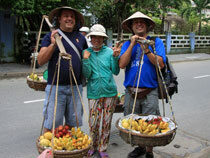 Thanh was incredible guy (guide), he got us to see the real Vietnam. Just arrived in France, we are still amazed by the magnificent track that you suggested. The organization was perfect; the choice of sites and hotels was wise. Thank you for your hospitality and also many thanks to your entire team, especially those who were with us. 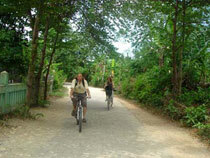 (We have greatly appreciated the timeliness of guides and drivers, their professionalism and helpfulness). 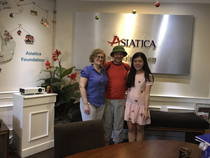 We were very lucky to stumble across Asiatica Travel when searching for our holiday to Vietnam. We were impressed with your informative and beautiful website and happily made a right decision. The trip went smoothly. 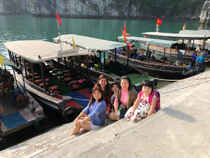 Everywhere, we were warmly greeted and treated by local peple.. we had a very relaxing and thoroughly enjoyable two days on Red Dragon boat in Halong. Just returned from a 2 week trip to Vietnam. 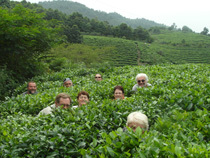 Being experienced travelers, we prefer to make our own way rather than take an organized tour with a group. 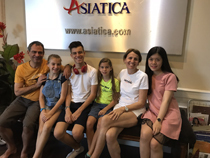 As we had limited time to do what we planned, we decided to use Asiatica Travel for airport/hotel pickup. This worked well. 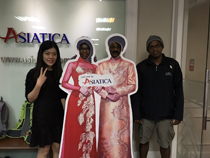 With a minor hiccup, Asiatica Travel were reliable, efficient and friendly. 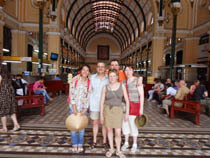 Our journey was really wonderful and we were delighted to discover the beautiful Vietnam and Cambodia. 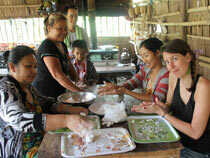 Everywhere, we were greeted with great kindness and welcoming smiles from the local residents. All the tour guides were friendly and the tour was also well organized. 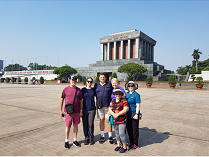 We had been a little bit nervous about coming to Vietnam due to the various scams warned in guidebooks but your picking us up at the Hanoi Airport gave us a relief. 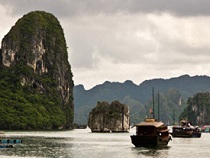 We have a boat to ourselves in Halong and Bai Tu Long which ware so beautiful and serene with karst peaks shrouded in mist and fishing boats on the horizon. Thank you for the good time we had in Vietnam. The weather, the countryside, the people, the food all were great. Things went smoothly and we were able to make the most out of our time. It was quite fast-paced but since we had limited time, we appreciated your effort to arrange such an enjoyable compact trip for us. Sorry for the delay in my email, part of the festivities and several trips. I wanted to tell you that this journey completely matched our expectations, well organized, without annoying inconvenience or delay. Our guides were all knowledgeable, some more open than others. I can not thank our phenomenal guides enough for the beautiful memories they have given us through being such friendly, patient and respectful people. 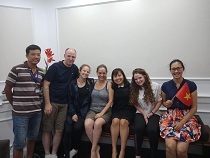 Thank you so much for helping us learning and understanding another way of life in Southeast Asia. 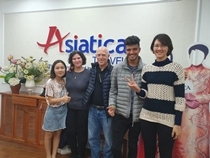 Asiatica Travel is truly brilliant, the way you care for the environment, the local community and the customers, and the way you got us to see the real face of the country. 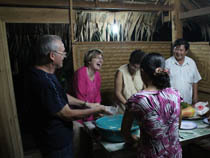 Exciting food, great stories and wonderful cultural exchanges. I highly recommend. The trip was great. The food was excellent (in fact we have dinner every night at the hotel) and the weather was more beautiful. We wish we would have stayed a few more days! 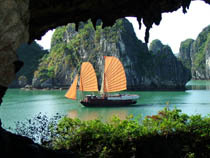 This is our trip to Vietnam. Your organization was perfect. Everything was well resolved. 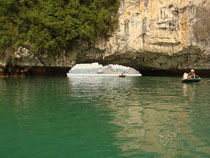 I will recommend your agency to those who want to go to Vietnam. In fact, I started to do so. We did have lots of memories. As evidence to that, Christine has some 700 photos and I filmed myself more than 3 hours. 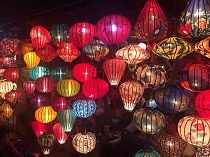 Firstly, I have to say thank you again for the beautiful time I did have in Vietnam. A great trip to the north of the country; everything was very well organized. The regions were less visited by tourists and we had made a wonderful discovery there. Again, many thanks to our guide Ngu who was always helpful to us throughout the trip and the driver who had never shown a sign of impatience. 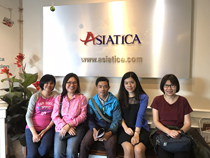 For an upcoming trip, we will definitely work with Asiatica Travel. 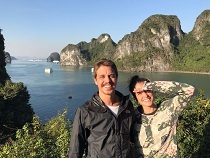 It's so grateful to you for organizing a wonderful journey for me and my husband to discover the endless charm of Vietnam. 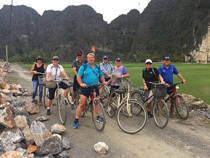 Liem is really a good guide to tell us about many typical sites of Vietnam, far from mass tourism: bike riding along the paddy fields, walking through villages, etc...He always showed his friendliness, opened to our questions if available and even adapted to our pace. 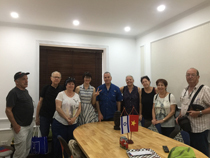 In the southern of Vietnam, we met a guide who is actually a real teacher with the immense knowledge about Vietnam, its politic and life in general. The time that we spent with him was really informative. We have just come back home in Nantes after spending a few days in Paris with our family. As we have said, we are very happy with this trip which is also our first trip to Asia. 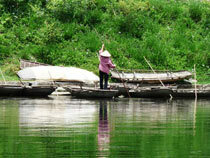 Among the three regions of Vietnam that we visited, the North has impressed us the most. 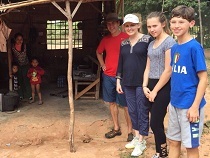 We loved the visits to ethnic minorities’ lands with their villages and colorful markets where we could observe the work of local people and interact with them. Thank you very much for your email. I hope your baby is good and everything is going well for you. 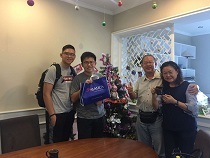 I have just given your contact to my nephew living in Kuala Lumpur, Malaysia; it means that we were fully satisfied with your services and our previous trip as well. 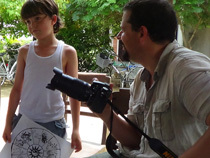 You can also go to see a selection of photos from our trip on Google+ site. I have made a big album (see photos attached to this message) with photos, documents and comments, telling our three unforgettable weeks in your beautiful country where people are always welcoming and smiling. First, we want to send you all the best wishes for the upcoming New Year. 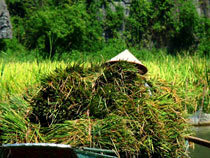 For the previous trip with your agency, we did have a head full of beautiful landscapes of Vietnam. There are just a few words about these three weeks. First, we must emphasize the flawless organization of our trip. There’s no waiting; our guides were always on time ... We really enjoyed it. 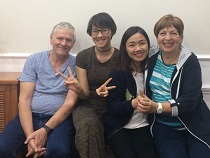 Different people with different styles and personalities, but all are pleasant and helpful. We are really satisfied with our trip. We did find a beautiful and welcoming country. The benefits you've proposed were perfect. 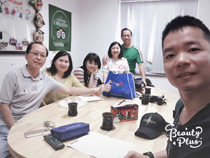 Comfortable hotels, quality restaurants, very nice and professional guides, pleasant drivers…all contributed to our memorable time in Vietnam. 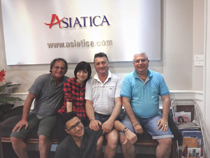 We will certainly recommend ASIATICA TRAVEL to all who wish to visit your beautiful country. We were travelling to Thailand and Vietnam with you in March . The 30 days trip you created for us was spot on. It is quite ambitious and hectic for some but it worked out very well for us. Thank you for respecting our original itinerary. ust a short note to thank you for the great holiday you organized for us. We loved every aspect of it. Very hard to pick up which was the most memorable part as we loved all the sites. We had An, amazing guide with lots of patience and good sense of humor. I just want to tell you that this journey was completely matched our expectations: well organized without any annoying inconvenience or delay. 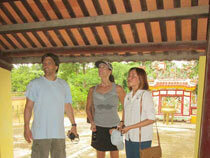 Our guides were all knowledgeable; some are more open than the others. Meals and the visiting sites were all perfect. 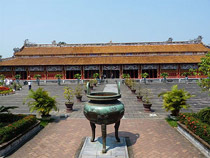 Regarding hotels, except for the well-being of Saigon’s, the others were of average quality, and the breakfasts were inadequate for Westerners. 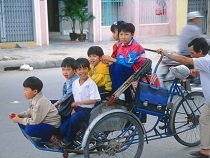 In general, we much preferred Hanoi to Saigon. Once again, I want to say thank you to you and your team for creating such a good trip. What to tell you about our trip? We’re all back in excitement. 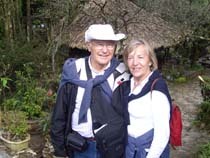 We are very grateful for allowing us to discover your beautiful country in unimaginable conditions. Your expertise and professionalism created a wonderful trip that we will remember for a lifetime. The discovery of your culture, traditions, and habits has been well marked by perfect timing and attentive guide. I will certainly send you the photos. The trip went well even we were very worried. 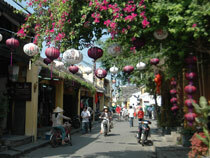 The typhoon had hit Hoi An when we were due to fly in. 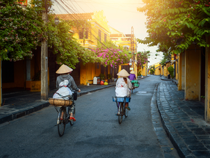 We were so impressed with how quickly and efficiently you adjusted our program for us so that we could arrive in Hoi An two days later. We are still under the spell of this beautiful and friendly country (the country of my father). 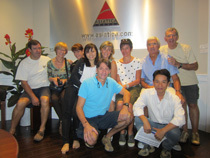 Congratulations to the great organization ASIATICA TRAVEL Everything was perfect, the choice of the circuit, hotels, guides (thank you to our friendly guide from Hanoi, Ha Ngoc Hue but if grown ... without forgetting Lam, excellent french ), drivers also ... the conditions were ideal (small group of friends, the same interest for a circuit "off the beaten path" ...). Meanwhile much of the trip, we could be disappointed ... and yet this is not the case ... 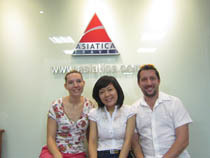 I strongly recommend Asiatica Travel. 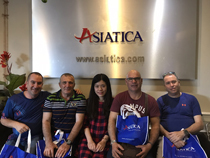 We had a fantastic time and would recommend Asiatica to anyone travelling to Vietnam. The management of the tour was excellent. 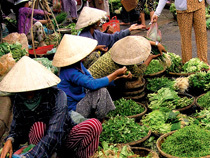 We loved Vietnam, from the food to the people to the places. 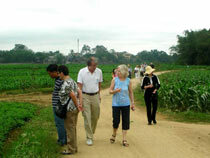 There is much to see and do and we felt that our tour covered many of the beautiful areas in Vietnam. Thank you for perfect services, also professional and responsive. The itinerary was excellent and our request for 4 star accommodations was delivered. 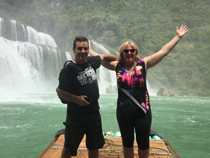 We requested scuba diving as a break from the cultural tour to Laos, Vietnam and Cambodia and the arrangements for this were good. 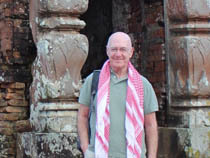 Thank you for organizing us such fantastic trip to Cambodia despite the short time we had. 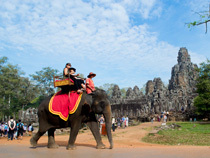 We visited Angkor Wat,Ta Phrom, Banteay Srei, Banteay Kdai, Terrace of the Elephants, and Bayon all in Saturday, quite exhausted but glad we did not miss any site. 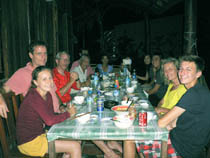 We returned last night, and we actually had a very nice trip to VN. 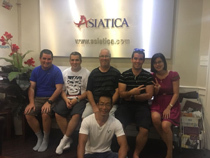 Of course, Asiatica team has contributed to the success of this trip. The circuit was well designed overall; we expressed to Thien some changes that could possibly be done to the program. It will be with great pleasure that I will hold new Asian trip with your agency in the future. 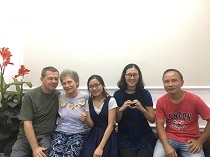 Well done for organizing our trip a little particular, the meeting with a sister remained in Vietnam, not seen for 50 years. A driver, good driver very attentive to traffic and desires of its customers. 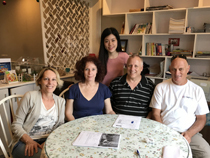 Our travel consultant was able to choose, content context of travel, a guide to listening, which has adapted and is fluent in both English and French. 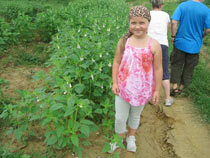 In addition to his work as a guide, she knew how to be caring and comforting throughout the various situations. 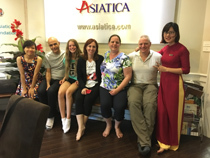 Asiatica responded quickly when we had to adapt our program. We returned home last week but loads of works after holiday kept us from getting back to you earlier. 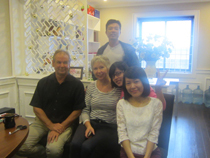 Thank you for your professional and faultless service you provided us during our short trip in North Vietnam. Hello! 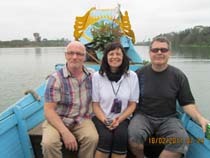 We returned to France at Thursday night, a little tired and chilled but happy to have spent three great weeks in Vietnam. The program that you've created was just wonderful and served us well: from north to south we saw amazing landscapes, visited numerous monuments and met really nice people. 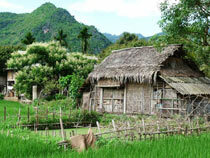 I have been to Vietnam many times always enjoy staying in home stays the best way to see country life. Had a great trip top guide really looked after me. 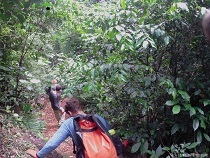 Most of the hike was easy but some parts especially in the wet were a bit more tricky, with some steep climbs but in some lovely country side everyone very welcoming. All in all a very well run and organized trip. 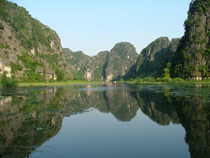 an extreme trek in the north west about 3 hours from Hanoi. We are back. 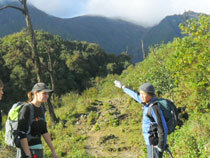 Comment about our trip: perfect organization, impeccable professionalism of the guides. Very good choice of hotels. An agency to advise that we will resume when we return. 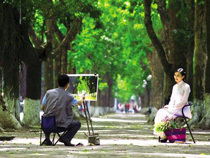 Just one small note, when you offer walks or bicycle rides, learn about the physical condition of some participants Maecha is tiring especially in the sun and the temperature. All particiapnys were very touched by your gift. I had intended to write you immediately when we arrived home but the load of work after holiday tied me up all the week. All in all, we had a fantastic trip. 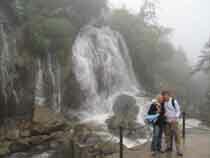 It rained few times but just light rain that did not interfered with our activities. 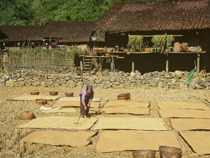 The Sapa trek was fantastic! Would recommend this to anyone, spectacular scenery and wonderful, wonderful people. We are group of 6 adults. Most for the first time in Viet Nam. What a wonderful experience. Much thanks to your excellent service with great guide and good bus with a good driver. A wonderful country with varied impressions of city, mountains and sea. 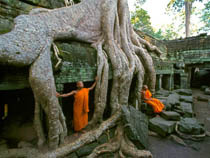 We are now back from a 4 week trip to Southeast Asia visiting Vietnam, Cambodia and Laos. We had a spectacular time! 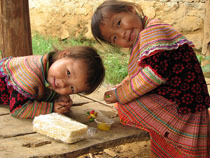 I am so thankful to all your help, especially recommending Laos and encouraging more time in Seem Reap. 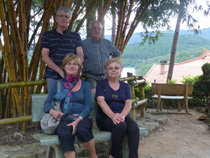 We returned from our trip, extremely delighted. What a wonderful country! The hotels you have chosen perfectly matched our expectations. 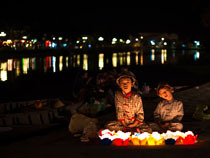 Night on the Perfume River, the discovery of Ha Long Bay and life in the Mekong Delta were the most beautiful moments. Thank you again for this brilliant organization. We came back Tuesday night and we are delighted with our trip. Not only do we come back with beautiful images in mind and beautiful pictures, but also your team were amazing.nothing go wrong. 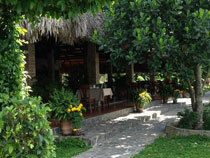 The organization was perfect: either in the route, in time, in the choice of guides and drivers, restaurants and hotels. Our journey is over, but unfortunately those emotional memories, wonderful and sometimes even out of time. We met because we were able to see and especially respect for our program. 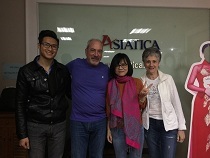 Thank you for the excellent organization of our trip by Asiatica Travel and your service. 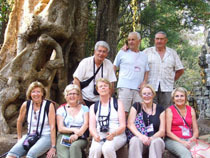 We all came back delighted with this trip to your beautiful country with beautiful landscapes and friendly people. Personally the whole program and services exceeded my wishes and I am still enchanted by the memories of the last day. 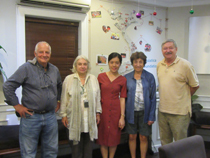 we have to thank you for the excellent organization of our stay in Vietnam and Cambodia . 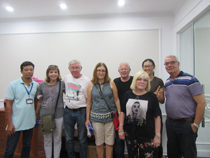 From the planning of our trip, very specific answers and quick to help, a very nice welcome in your office in Hanoi, guide service highly competent and Fluency in French, high quality hotels and a perfect program for us. 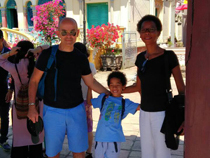 We have just returned from our trip you have prepared for us to discover our adopted son's native country. 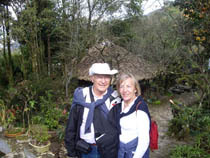 The trip was wonderful and well organized, great in the smallest detail. A big thank you to our two guides, drivers (good and dependable) and especially to Phi who accompanied us in the north. He really is an excellent guide, speaking our language perfectly. 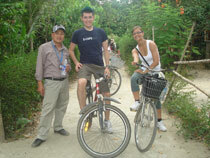 He taught us a lot about Vietnam and its people, all with enthusiasm and good humor. 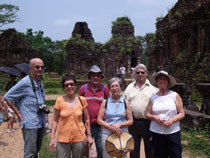 We travelled to Vietnam, Laos and Cambodia in mid-November to mid-December 2010. The organization of this visit, only for two of us, was a great success. 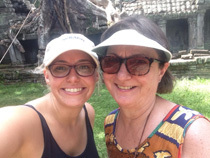 First, we must thank Thom, our travel consultant, for her professionalism, responsiveness of the answers, advice, and also her patience because we had to make her change the routes and sites to visit at least ten times! and every time a new quick fix before us. From the outset, we certify that we have a wonderful trip in a beautiful country rich in culture, history, with several thousand years past and a future open to the globe. We had a great time indeed. 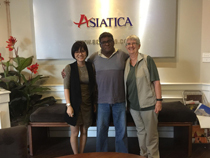 This discovery was made possible by your agency, "Asiatica Travel." Indeed, we were supported by a professional team focused on the "client" and showing careful planning. We always felt safe and comfortable. 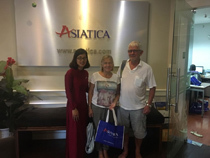 I recently made a first trip to Vietnam with my wife Carolyn and we would both like to record our sincerest thanks to Asiatica for a tour that was so well organised. We have many fantastic memories and thank you for the photo album which we will put to good use. 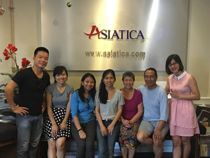 We want to share some of our experiences with Asiatica over a 23 day trip from North to South Viet Nam and Cambodia. 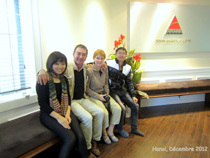 First of all we were very pleased by the professional and correct preparation of our trip by the sales team in Hanoi. 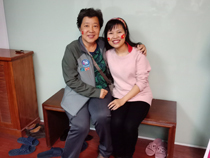 (Ms Le Ha and Ms Hai). Great job, especially if you see how we tweaked and tuned the trip to get as much as possible in the program. 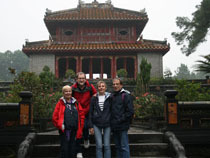 Hi Ms Hai and Mrs Le Ha, we have been back from Vietnam for a couple of weeks now, sorry for not contacting you sooner. We wanted to thank you all very much for a great trip and our lovely gifts, you were all a pleasure to deal with and very professional, the guides and drivers were fantastic, the vehicles were immaculate, the hotels great and the program was the correct mix of pleasure and travel. We loved the tour of the Old Quarter (could have spent more time here). The puppet show was something differet and was interesting. The walk there and back was lovely. Fantastic hotel, GREAT food. Beautiful scenery! 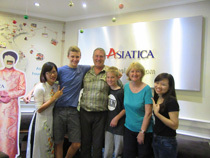 We loved our holiday and were so impressed with Asiatica, with you and with all our guides. 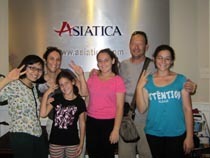 My daughter and I have just returned from our second trip with Asiatica Travel. 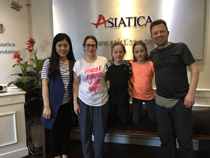 I travelled with my sister to Vietnam in 2010 and had a fantastic holiday, so when my daughter and I decided to go to Cambodia there was no question that we were going to go with Asiatica. 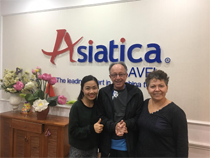 This was our second trip with Asiatica Travel (we had visited Vietnam with them in 2010) – this time we decided to go to Cambodia. 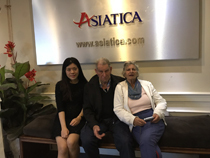 From the start of our negotiations with regards to our holiday with Asiatica Travel Vietnam, we received the best service from them. 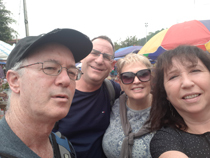 t is now just over two weeks since we have returned to South Africa from our wonderful two week holiday in Vietnam, followed by 1 week in Malaysia. A truly wonderful time was had by us all. 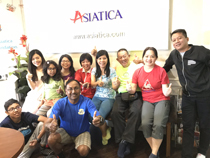 So far as Asiatica-Travel Company is concerned, we must say that we certainly rate you a No. 1 Travel Agency. Your service throughout our planning, payment and final program stages was excellent and first-class! We had a great time, thank you so much for the wonderful experience. Thank you Helen. 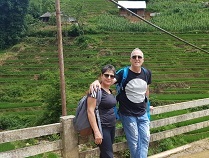 We have great memories from our trip, and will recommend you to any friends who are considering a trip to Vietnam Laos Cambodia. Thank you for all your help. I will refer you to others if they are coming to Vietnam. Very good vacation. We want to thank you for a wonderful and memorable trip. We appreciated your constant help and care. We really appreciate all of your hard work and look forward to working with you to book our trip for next October. The trip was great. 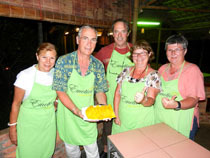 We had a wonderful experience with each of our guides and drivers. Thank you for your assistance putting together a memorable trip.